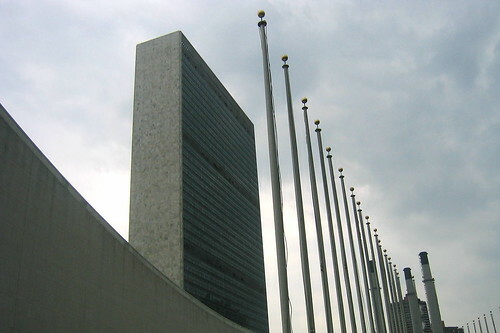 For the fourth year in a row, the Legal (Sixth) Committee of the U.N. General Assembly took up the issue of universal jurisdiction this month, debating its scope and application. One of the central themes to emerge was the idea that universal jurisdiction should be exceptional and supplementary. These criteria apply to both the traditional bases of jurisdiction and the choice of legal forum—in a debate where national sovereignty and political immunity were bandied about as obvious priorities. In terms of the bases of jurisdiction, the consensus among states is that jurisdiction in international law should be tied, first and foremost, to territoriality and nationality. Only when states fail to invoke these bases of jurisdiction is the door open to claims of universal jurisdiction. But exactly how long does one wait for traditional jurisdiction to play out its course? And how do we know when traditional avenues of jurisdiction are effectively exhausted? Regarding the choice of legal forum, the assumption is that universal jurisdiction should be secondary to international and regional mechanisms (and to domestic courts invoking traditional jurisdiction). This is akin to the idea of complementarity, which makes the International Criminal Court a forum of last resort. Yet what happens when individual survivors’ access to these higher-level mechanisms proves limited or blocked, impeded by onerous institutional hurdles and bureaucratic red-tape? The “exceptional and supplementary” requirement seems reasonable at first glance: but is it always? Universal jurisdiction is a seemingly radical departure from the traditional. This feeds into the view that its abuse and manipulation can be curtailed only by defining it as exceptional and supplementary. It’s a misguided logic. Perhaps the debate shouldn’t be about how to limit universal jurisdiction. If the heinousness of presumed crimes is what makes universal jurisdiction (and therefore accountability) possible, then the approach seems backwards. The more productive, though admittedly difficult, question is how to strengthen the pursuit of accountability across the board, in domestic and international contexts—to provide meaningful forums for voicing, investigating, and addressing accusations of abuse. Until domestic and regional accountability mechanisms offer viable alternatives for those who have suffered horrific abuse, the debate over the scope and application of universal jurisdiction will seem disingenuous: an occasion for states to define universal jurisdiction narrowly, controlling and subverting the very likelihood that this weapon of the weak will be used against them.